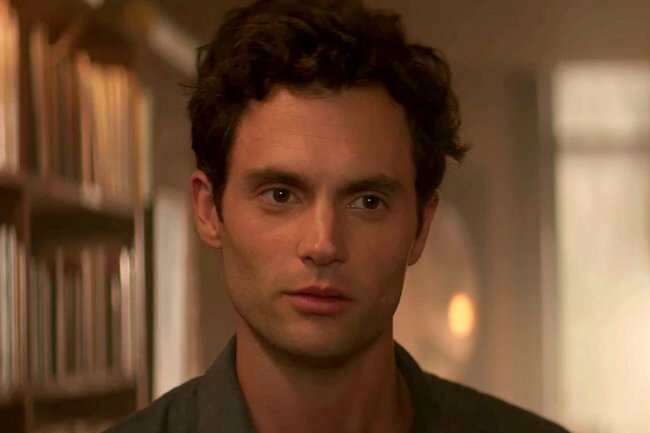 You Netflix cast: The problem fans have with Penn Badgley. The one problem fans have with Netflix's new psychological thriller YOU. It may have only been a day since YOU premiered on Netflix, but fans already have a lot to say about the thrilling new series. The psychological thriller follows bookstore manager Joe, played by Gossip Girl actor Penn Badgley, who becomes besotted with aspiring writer ‘Beck’ after crossing paths with her. Once Joe meets Beck, there’s no going back – he’ll do just about anything to keep her around. Not only does he steal her phone so he can constantly keep an eye on her, he even physically keeps an eye on her by lurking outside her apartment window. But while the show undoubtedly takes a creepy turn, fans have a particular gripe with another aspect of the series. According to fans, Penn Badgley’s character is very similar to the actor’s famous long-running role in Gossip Girl. Much like his character Dan Humphrey in Gossip Girl, Badgley’s new role as Joe sees a mysterious, shady, book-lover using social media to, erm, stalk. And although Badgley is pretty damn good at playing a stalker, some fans think the roles are just too alike. ‘You’ on @Netflix is so good but also weird as Dan Humphrey from #GossipGirl is in it being a weirdo ???????? Even Badgley himself agrees that the two roles are similar. “I know in the first scene it’s like ‘it’s Dan Humphrey’. I’m not going to try and pretend it’s not,” the actor told Entertainment Weekly. The 32-year-old was also initially wary about taking on the role. “I didn’t want to do it – it was too much,” he told Entertainment Weekly. Besides Penn Badgley, the series also stars Once Upon A Time actress Elizabeth Lail and Pretty Little Liars actress Shay Mitchell.